Paris: Dubai’s presentation to the International Exhibition Bureau to host the Expo 2020 included a few surprises on Thursday, such as a subway system for the exhibition area and a personal endorsement from Gates. 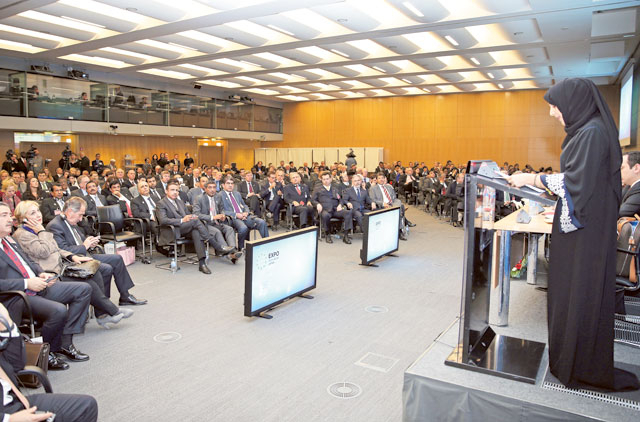 All five of the cities bidding for the event gave 20-minute presentations at the Paris headquarters of the Organisation for Economic Co-operation and Development (OECD) on Thursday. Dubai’s presentation was given by Reem Al Hashemi, Minister of State. 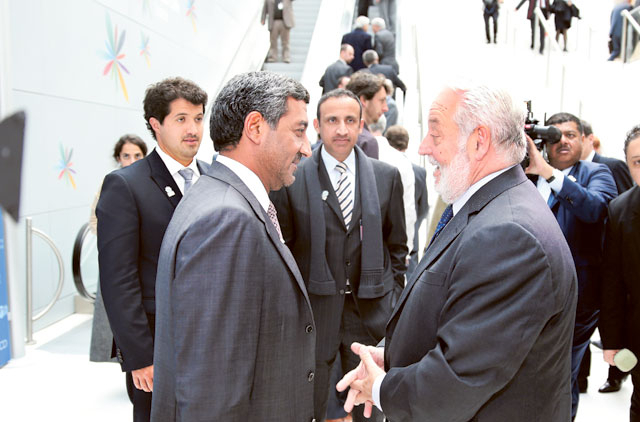 The UAE delegation to the IEB was lead by Shaikh Ahmad Bin Saeed Al Maktoum, Chairman of the Expo 2020 Higher Committee. “We are proud of history, but we also have a clear vision of our future,” Al Hashemi said. “We are committed to delivering an unforgettable World Expo.” She also called it “the whole nation’s bid”. Dubai’s theme for 2020 is “Connecting Minds, and Creating the Future.” Al Hashemi said Dubai’s vision for the World Expo would include four sub-themes — sustainability, clean energy, smart systems, and opportunity. Dubai’s bid also focused heavily on the city’s ability to bring in visitors. According to the presentation, two-thirds of the world’s population lives within eight hours of Dubai. Twenty-five million visitors are expected to attend, with 70 per cent of those attending coming from outside the UAE. The event itself will be held equidistant between Dubai and Abu Dhabi on 438 hectares of land, allowing visitors the choice of arriving in either of the two cities. The focal point of the exhibition will be a central pavilion called Al Wasl, which means “The Connection” in Arabic. The plans for the arrangement of pavilions from visiting nations is inspired by Arabian souqs, or markets. Smaller buildings will be located near the centre of the exhibition with larger buildings on the outside. 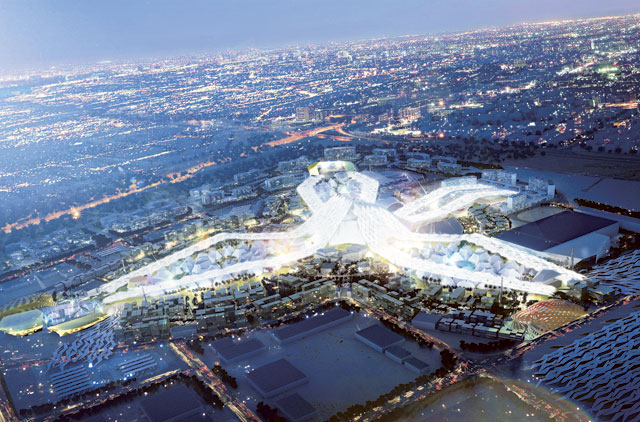 To comply with its sub-theme of mobility, Dubai said it plans build an underground railway system to connect the Al Wasl with the outer pavilions. Mattar Al Tayer, Chairman of the Board and Executive Director of the Roads and Transport Authority (RTA), who was at the presentation, said Dubai also has infrastructure plans that include air, sea and land transport. Those plans include extending the Dubai Metro to the Al Maktoum Airport. Al Tayer said he hopes any legacy left behind by the World Expo would extend to more than just business. “I would like to see it have an impact socially and educationally,” he said. “Whatever infrastructure will be built, its an investment for the future.” Sultan Ahmad Bin Sulayem, Chairman of DP World, said he believes Dubai’s infrastructure plays a large role in improving Dubai’s bid. In keeping with the clean energy theme, the proposed exhibition site will also be covered by a canopy of photovoltaic material, which should produce enough solar power to cover 50 per cent of the Expo’s electricity needs. At night, the underside of the canopy will act as a screen for video presentations and light shows. Thursday’s presentation also included a video with prominent figures, such as Shaikha Lubna Al Qasimi, UAE Minister for Foreign Trade, who spoke of the UAE’s position as a business hub, and Emirates CEO Tim Clark, who spoke of the airline’s plans to double its service into Africa and its ability to make Dubai accessible to the world. The surprise event of the show was the appearance of Microsoft Founder Bill Gates, who is also the founder and co-chair of Bill and Melinda Gates Foundation, the world’s largest private foundation. Gates spokes of his visit to the 1964 world’s fair in Seattle, and the effect that it had on sparking innovation in the Seattle area. Gates also gave his personal endorsement of Dubai’s bid, saying the city “would be a great location to host a World Expo”. Al Hashemi said if Dubai wins its bid for the Expo, it would tentatively be scheduled for October 21 and run until April 21, with the event’s ending coinciding with the being of the celebration for the UAE’s 50th National Day. After the Expo is finished, Dubai plans to turn the pavilion grounds into a research and development centre or a university. 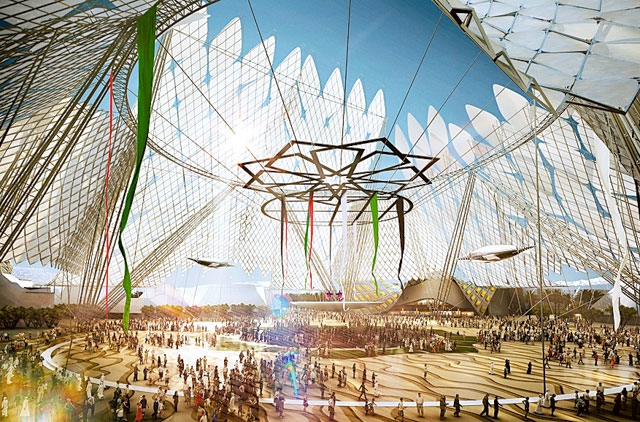 Dubai is scheduled to present its completed dossier for its Expo 2020 bid on December 3, at which time additional information, such as the proposed budget to build the exhibition centre and upgrade any infrastructure, would be announced. This was the third set of presentations to the International Exhibition Bureau. Two more presentation are scheduled before the announcement of the winner, which is likely to happen in October 2013. Other cities competing to host the Expo 2020 include Sao Paulo, Brazil; Ayatthaya, Thailand; Izmir, Turkey and Ekaterinburg, Russia. Many at the conference have written off Brazil’s chances of winning their Expo 2020 bid because the country’s winning bids for the Olympics Games and Fifa World Cup. Of the remaining three, Al Tayer said Ekaterinburg and Izmir offer the toughest competing bids.